How Much Will You Risk to Find the Truth? adventure of doubt, truth and purpose. Have you ever felt you were different from everyone else? Were you embarassed by these differences, so you tried to hide them? In Krista McGee’s latest novel, Anomaly (Thomas Nelson / July 9, 2013 / ISBN: 978-1401688721 / $9.99), Thalli must hide who she really is or face death. Follow Thalli as she searches for truth and purpose in her controlling world in the first book in this trilogy for young adults. McGee approaches the popular dystopian genre from a Christian worldview to challenge readers to question what is going on around them and find answers from the Designer — God. Long before Thalli’s birth, the world ended in a nuclear war. But all was not lost. A group of scientists, known as The Ten, found ways for life to continue deep underground. The scientists genetically engineered humans to be without emotion in hopes of preventing another war from threathening their lives. But Thalli isn’t like the others. She was born with the ability to feel and a sense of curiousity she can hardly contain. She must hide these differences in order to survive. How long will Thalli be able to contain the emotions and questions bottled inside? What will happen when The Ten find out she’s been lying to them? With the fear of annihilation looming in her future, Thalli questions all she knows. She hears rumors of someone called the Designer — someone even more powerful than The Ten. With time to think, feel and question, Thalli wonders if the parts of her that have always been an anomaly could in fact be part of a much larger plan. Could the differences she’s always guarded be the answer to what she’s been searching for all along? As a teacher, McGee has a passion for teenagers and a desire to see them excited about God. This fuels her writing, and she hopes her readers will realize that, like Thalli, their differences are what make them special and have a purpose. Every person is fearfully and wonderfully made by the ultimate desginer — God. He is more powerful than any government, disaster, person or idea. 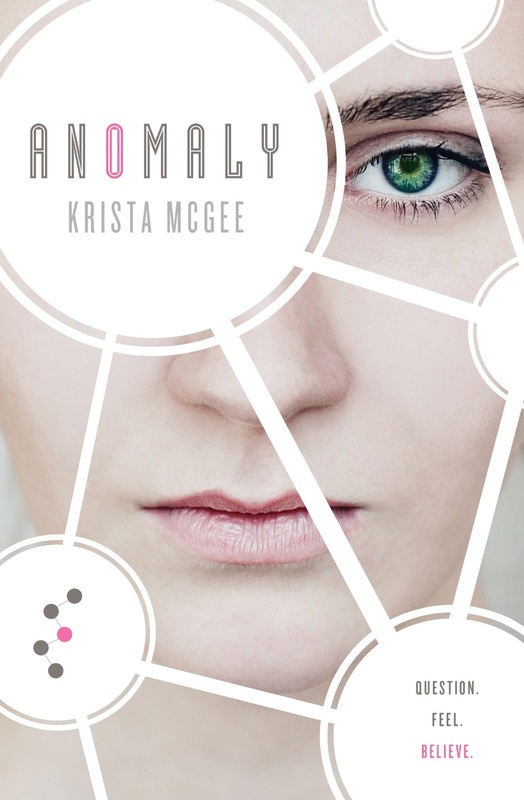 Anomaly is the first in a trilogy of books about Thalli’s journey. The second book releases in February 2014 and the conclusion in August 2014. Learn more about Krista McGee and her books at kristamcgeebooks.com. Krista McGee’s passion to see teens excited about serving God is a driving force behind her novels. Ever since college when she spent a summer working at a youth camp, McGee knew she wanted to invest in teenagers. 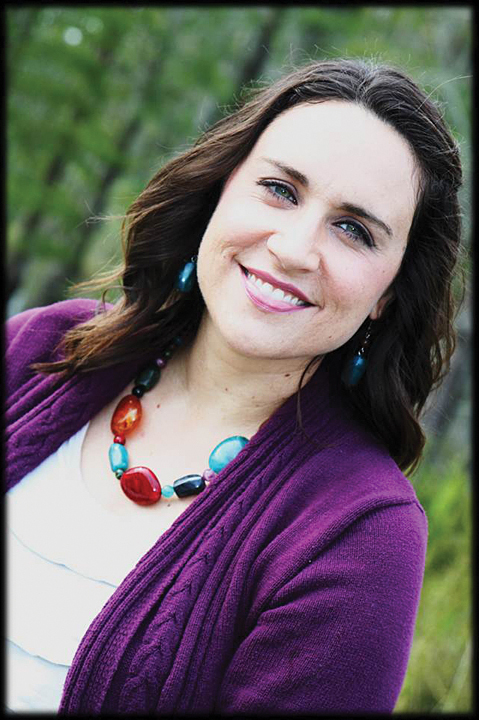 Since then she’s been involved in a variety of youth ministries and currently teaches at a Christian school in Tampa, FL. McGee broke into the writing world during her time in Spain. A friend encouraged her to submit an article to a Christian girls’ magazine, and it got published. Once her family moved back to Tampa, she got the idea for her first novel, First Date, a modern take of the story of Esther. Her subsequent books, Starring Me and Right Where I Belong, are based on Rebekah and Ruth. When Krista McGee isn’t living in fictional worlds of her own creation, she spends her days as a wife, mom, teacher and coffee snob. Learn more about Krista McGee and her books at kristamcgeebooks.com. Readers can also become a fan on Facebook (krista.a.mcgee) or follow her on Twitter (@KristaMcGeeYA).